Are you using the rating feature of iTunes and your iPod a lot ? I can only speak for myself but I never used that feature at all because it seems to be a lot of work to rate thousands of songs. There is however a way to rate songs automatically using a free software called AutoRate (Macintosh) that rates track automatically according to how often they have been played and skipped. The ratings get synced with iTunes which means that you do not have to rate all of your songs by hand to achieve this goal. It seems to me that Podcasts are popular amongst a certain (geeky) user group but ignored by the rest of the Internet. Honestly, when was the last time that you have listened to a Podcast ? I have to admit that I'm also not listening to Podcasts mainly because the lack of time but also because of the difficulty to find Podcasts that are interesting enough. Youloud tries to make at least the second concern irrelevant. It lists a lot of Podcasts in their directory offering features, newest, most popular and top favorite Podcasts. If you are running Windows XP at the moment and want to make the switch to Windows Vista soon you might find the Windows Easy Transfer Tool of interest. The transfer tool work with both the 32-bit and the 64-bit version of Windows XP if they have the latest official service patch installed. If you are looking for a great roleplaying game for the weekend you should definitely take a look at the excellent Last Scenario game. 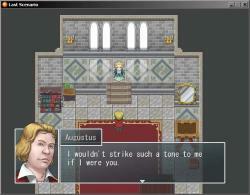 It reminds me a lot of those old SNES and Sega Genesis roleplaying games that were so much fun to play back then. Last Scenario puts you in charge of a self proclaimed town protector named Hilbert who is nothing more than a boy at the beginning of the game who is soon to become the savior of the world. If this sounds a little bit to cliched for your taste you should wait and see how the story unfolds. You can bet that every tiny bit of new information about Google or one of their services will make headline news in a matter of minutes after it was discovered or announced. This time it was the discovery that the maximum attachment size for emails on gmail has been raised to 20 Megabytes. While a 100% increase may seem nice it raises some questions about the usefulness of such an increase. Many mail servers will not accept emails of that size and bounce them back. It should also be noted that emails were never supposed to be used for large file transfers in the first place. I was always a little bit obsessed with Ninjas since the first Shinobi game by Sega. This continued with Tenchu on the Playstation and numerous Ninja games and movies. It was always my childhood dream to become a stealthy deadly assassin, hehe. 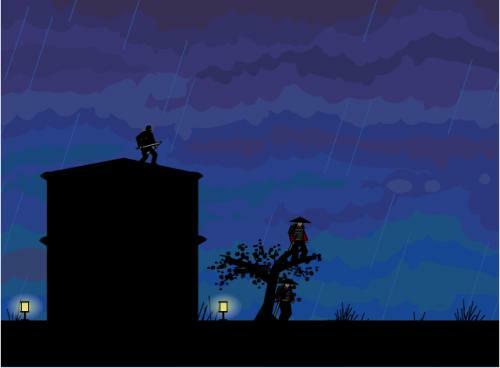 Well, I found a nice - but short - flash game that lets you play, I think you guessed it already, a Ninja. You have to make it through ten levels to rescue a woman (princess, geisha ?). To do this you have to cross the levels and beat all the enemy guards who are defending the captured woman. You only have a limited assortment of techniques at your disposable. Amongst them are the infamous wallrun, the backflip and the quick short slash. I was looking very hard to find a replacement for my favorite audio player Winamp and found a ultra-lightweight alternative with an exceptional functionality called XMPlay. This audio player which has a size of only 300 Kilobytes does not have to be installed and can be run from any location. It supports all major audio formats such as mp3 and ogg format, plays internet radio streams, supports playlists, compressed files, library functions, skins, plugins and a lot more. 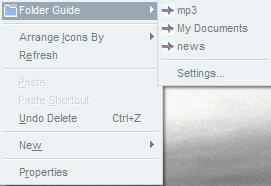 Did I mention that it is possible to save mp3 streams that are automatically named to your hard drive ? I'm always going the extra mile when I take screenshots in Windows XP. I hit the Print button on the keyboard, open GIMP and paste the contents into a new image, cut the part of the image that I need, resize it and finally save it to be able to upload it to my ftp. The worst part of this job is that it takes a lot of time to complete all the steps and I think I found a nice free screen capturing software with the name MWSnap which can optimize this process. 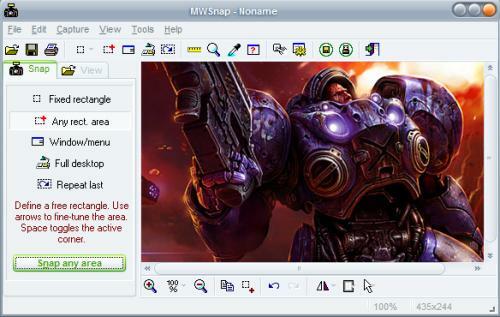 Four different ways of creating screenshots are supported by MWSnap: Fixed Rectangle, Any Rectangle, Window / Menu or Full Desktop. The Any Rectangle method is working best for my purposes. I found a nice little Windows Vista utility to change the appearance of the Aero Glass theme even further by allowing color transformations. 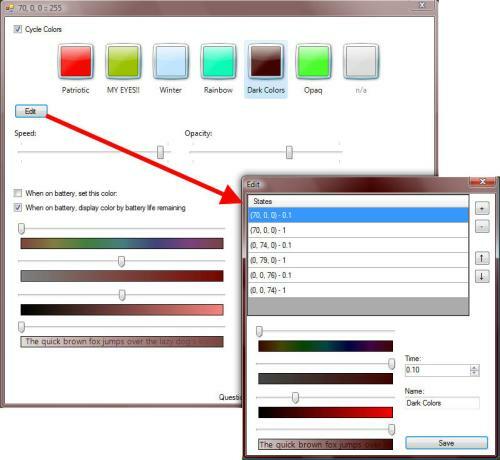 The normal Windows Vista style has a static color while the Vista Color Transform application may change colors over time. The software offers a pre-defined sets of colors that have names such as Patriotic, My Eyes!! and Winter displaying small preview images of the colors that are cycled through. If you take Winter for example you see white and icy colors when you click on edit. I prefer to watch videos in my favorite video player VLC instead of watching them embedded on the web. If you click on a video file on a website you open it either in your default video viewer or view it right in your browser using a plugin. You may also open websites in different browsers which is great for developers who were using several add-ons to view a website in different browsers. Just right-click the link and select the application that you want to use to view it from the menu. Launchy, that is the name of the Firefox add-on, supports more than 60 applications right out of the box with the ability to add more applications using an XML file. If you thought that this is going to be another article about Launchy you thought wrong. This time it is a freeware that may replace the Windows Run Function. Executor adds numerous features to the run dialog but keeps the handling as easy as possible at the same time. The run command in the start menu is not touched at all but you can hijack the run shortcut Windows R if you like or use the defined Windows Z for opening Executor. 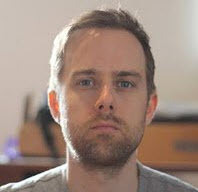 It offers the complete features of the natural run implementation of Windows and adds many features to it. I have talked to several Windows Vista users and all told me that they did not use the Vista sidebar because of the lack of good gadgets that could be shown there. Sure, some are really nice but the majority is utterly useless. Why would I want another clock in there for instance ? 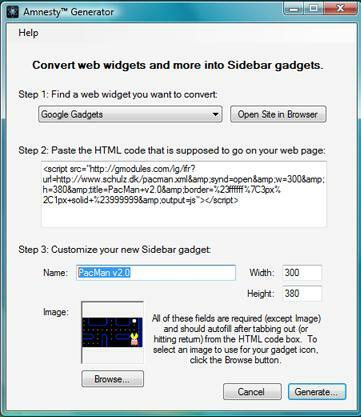 The Amnesty Generator (Windows, Macintosh) tries to fill this gap by providing a clever way to convert thousands of web widgets to Vista gadgets that can be placed in the sidebar. The program is free and absolutely easy to use. 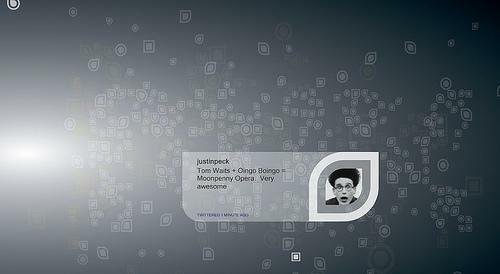 All it needs is the html code of the widget to automatically convert it into a Vista sidebar gadget. The html code is displayed when you select a widget from the many databases that offer them. 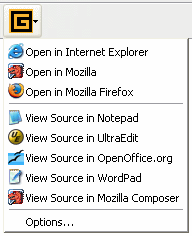 Firefox is already really comfortable when it comes to searching the web. One search box is displayed by default which is great if you want to do a fast search for something. Did you know that there is another way, even faster and better than this one ? Firefox supports so called keyword searches which means that you define a keyword for a certain search engine and can use that keyword to search it without visiting the website of that search engine. Let me give you an example to clear things up. You may right-click any form field in Firefox and select the menu entry Add a Keyword for this search. Selecting this opens a new Add Bookmark menu which asks for a name and a keyword. I went to ebay.com and did a right-click on their site search. I entered the keyword "e" and the name eBay. Check your robots.txt on Google's Webmaster Tools website. A robots.txt tells the search engine robots about the directories and files that should be indexed on a website. A wrongly edited robots.txt file could mean that search engine robots are not crawling your website anymore with the result that new articles will not be indexed in the search engine index. This can be quite devastating especially for webmasters who do earn their living from their websites. It takes up to two weeks until changes can be seen when you edit the robots.txt file which is way to long if you made a mistake. If you are looking for a rather unique screensaver for Windows 2000, XP or Windows Vista you should take a look at Flitter which is a mashup from Flickr and Twitter at the moment. What it does is that it is retrieving realtime data from both Flickr and Twitter to display those when the screensaver is active. You obviously need a computer that is connected to the Internet to use this screensaver but it is very well worth it. The default setting for the screensaver pulls data from the public timelines of both Flickr and Twitter but you have the possibility to custom this further. I'm using some folders over and over again in my daily work routine. My mp3 folder for instance, my profile folder and the folder that contains most of my applications stored on my computer. I have been using shortcuts to access them until now but today I found a free software that adds favorite folders to the right-click menu.